Welcome To An Unforgettable View! Newly renovated and refurnished! 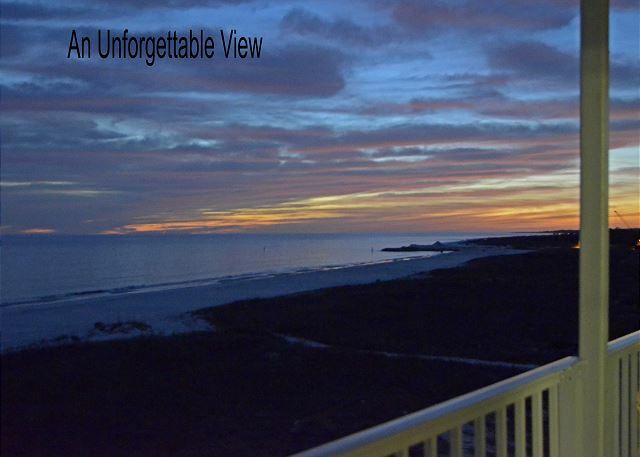 Breathtaking views are yours from this beachfront premier, penthouse condo in the Surfside complex in Mexico Beach. 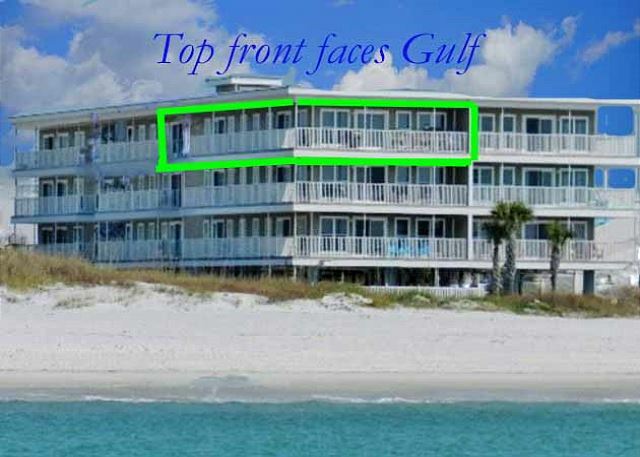 The L-shaped balcony presents magnificent panoramic views of the emerald water, the white sand, the natural grassy dunes, the fishing pier, and the canal entry where boats come and go. The westerly view gives you the best vantage point to see the fabulous sunsets here. There is always something beautiful to see as you relax on your covered balcony. Feel the ocean breeze, breathe the fresh ocean air, and listen to the sounds of the waves. It is quiet here with no road noise. The sugary white sand beach is uncrowded and right at your door. This is beachfront vacationing! This 3 bedroom, 2 bath condo has been furnished with luxury and comfort in coastal ambiance. Sleep on top-rated mattresses. Enjoy a modern kitchen, a master bathroom walk-in tiled shower, covered and lighted parking, elevator, and a small wading pool. It will be unforgettable! Advertised Rates do not include taxes, security deposit, and travel insurance. It is customary to book weekly from Sat to Sat only during the summer season. Some exceptions are made, please call for nightly rates.